Give the gift of Music by purchasing a Bluebird Music Together gift certificate, or by making a donation to our scholarship fund! Gift Certificates: Celebrate a birthday, holiday, or special occasion by giving a gift certificate to the special children in your life. Music Together classes make a great gift! 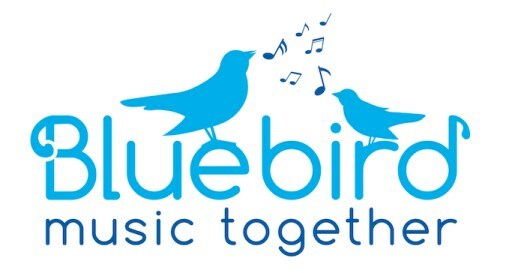 Scholarship Fund: Helping families share the joy of Music Together is one way that Bluebird Music Together can give back to our community. Through our scholarship fund, we are able to offer financial aid to families who may not be able to afford the full cost of our program. Please consider making a donation to our scholarship program either online (below), or by mailing a check payable to Bluebird Music Together. If you have any questions regarding the scholarship fund, please call Rebbecca Oppedisano at (315) 427-6985. Scholarships must be applied for and are awarded at the director's discretion as funds are available. Tuition Assistance: Requesting a scholarship for tuition assistance is simple. No specific information will be requested as it is expected that applicants for scholarships truly need the assistance. We do ask that you email us and tell us about yourself. Please submit an email to director@bluebirdmusictogether.com and answer the following questions: What is your own background with music? How many children would you like to bring to class? Do you have any flexibility about which class you can enroll in? What are the circumstances of your request for tuition assistance at this time? What is a fair amount that you feel you can pay? Every effort will be made to award scholarships to families that qualify; however, this may not be fiscally possible.